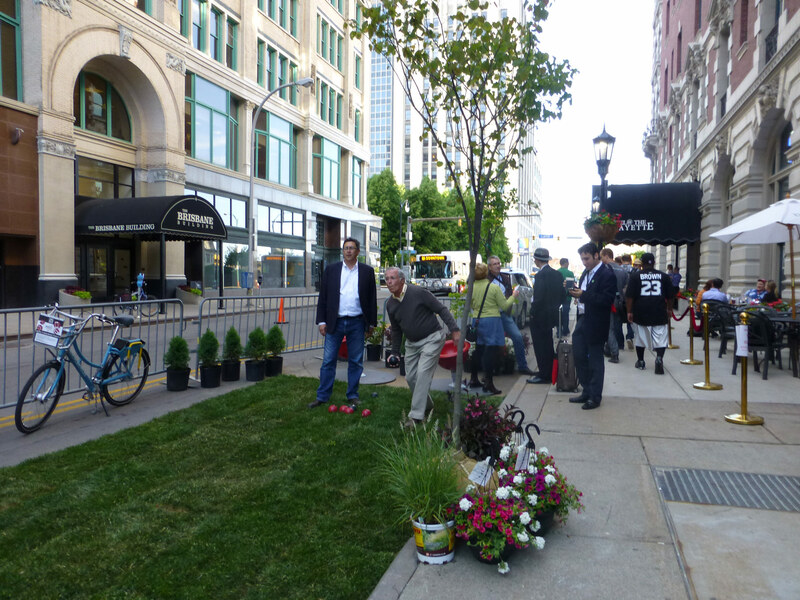 The Washington Street Parklet was a collaborative project between the Next Gen Committee of Congress for New Urbanism, Rocco Termini of Hotel Lafayette, JKLA and the City of Buffalo. 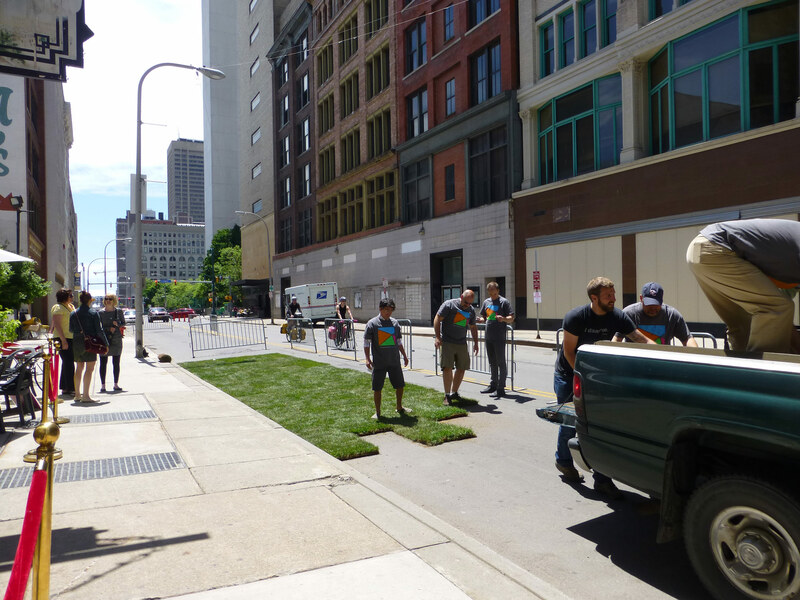 With a budget of less than $1,000.00 the project came to life through volunteers from CNU, the American Planning Association and the American Society of Landscape Architects. 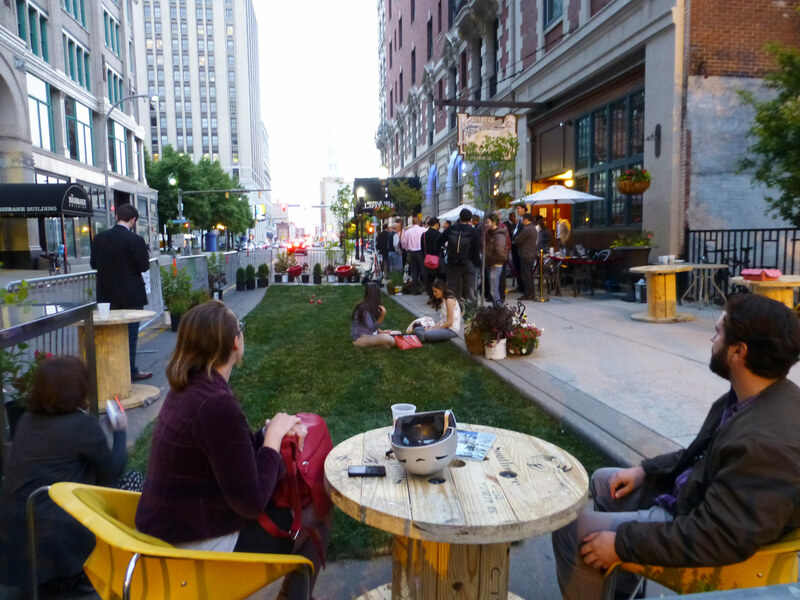 In 2014 the City of Buffalo was host to the 22nd Congress for New Urbanism, allowing Buffalo to showcase the beauty of its public realm as well as its incredible rebirth. 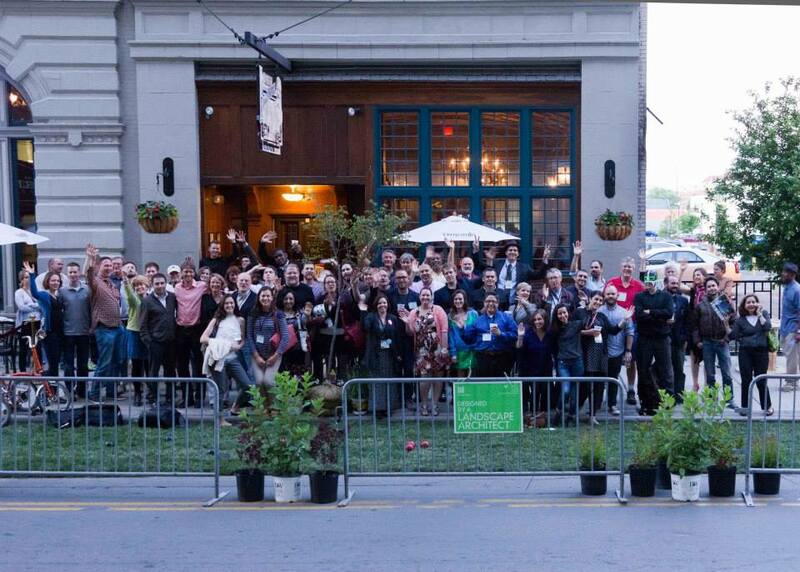 The “Next Gen” Committee took on a significantly more active role in the 2014 conference with particular focus on out-of-the-box ideas to engage our sidewalks, create new conversation and seeing our existing spaces in whole new ways. 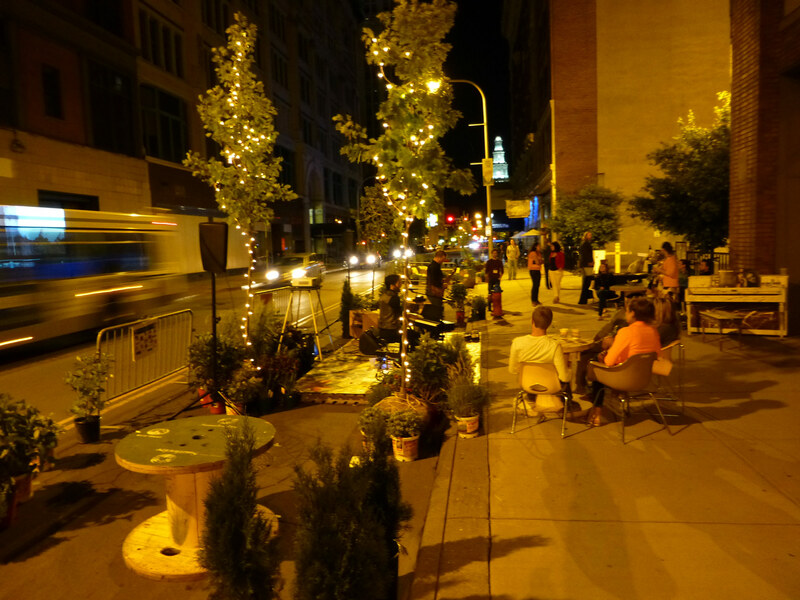 The parklet occupied the east side of Washington Street from Eagle to Clinton Streets for just a few hours. 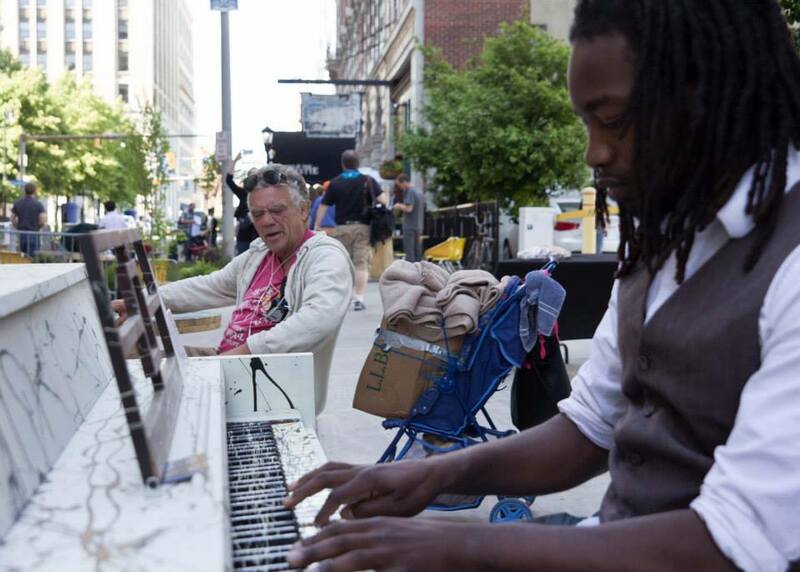 More than 150 people ate, drank and played with us on the sidewalk. But most importantly, the conversations around us that evening focused on how few resources it took for this kind of change to happen and the level of its impact on everyone around it. We were asked to create some kind of parklet for the “Next Gen” Committee’s Friday evening events to be held at the adjacent Hotel Lafayette. The recently restored hotel has become a beacon, highlighting Buffalo’s potential to reinvent itself through its existing environment. While the Hotel and its restaurants have added significantly to the urban fabric of Washington Street, the streetscape itself had yet to be explored. 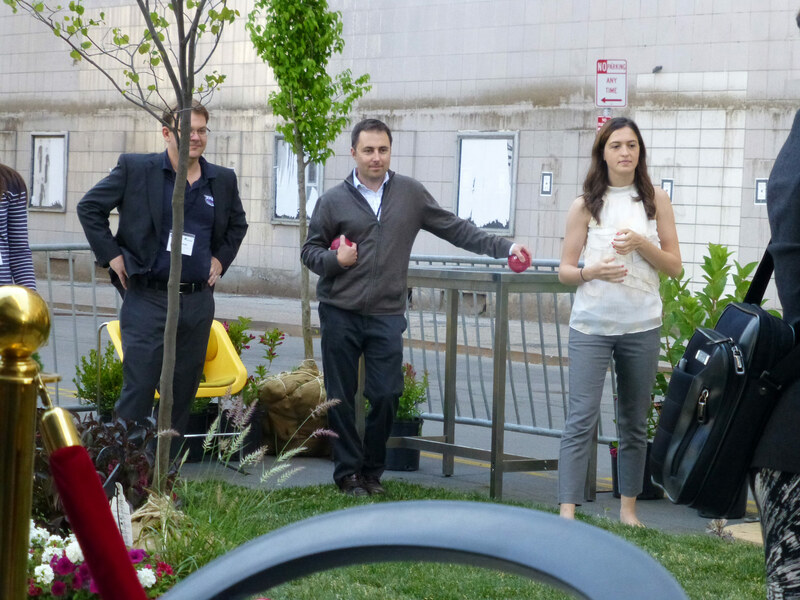 We felt this was the perfect opportunity to use landscape architecture to begin that exploration and present ideas in an out-of-the-box format. 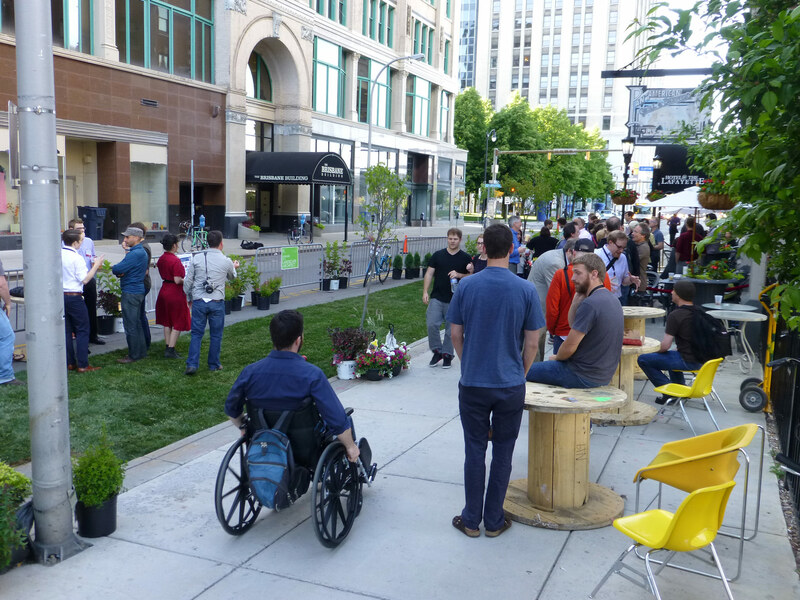 Creating a green oasis with a variety of activities to appeal to a wide range of users was at the heart of the parklet design, but so was the idea of creating a more effective roadway section that accommodated a dynamic pedestrian space as well as accommodate vehicular traffic and parking. To accommodate vehicles, we were able to work with the Police District leadership in our neighborhood to shift parking, reduce the number of lanes and widen the pedestrian space. Our green oasis came to life through the use of donated sod and borrowed trees, shrubs, perennials and colorful annuals which were all returned the next day. Spools became tables, and a creative use of playground equipment become our most popular places to sit. Twinkle lights and a wide variety of activity and programming topped off the event. 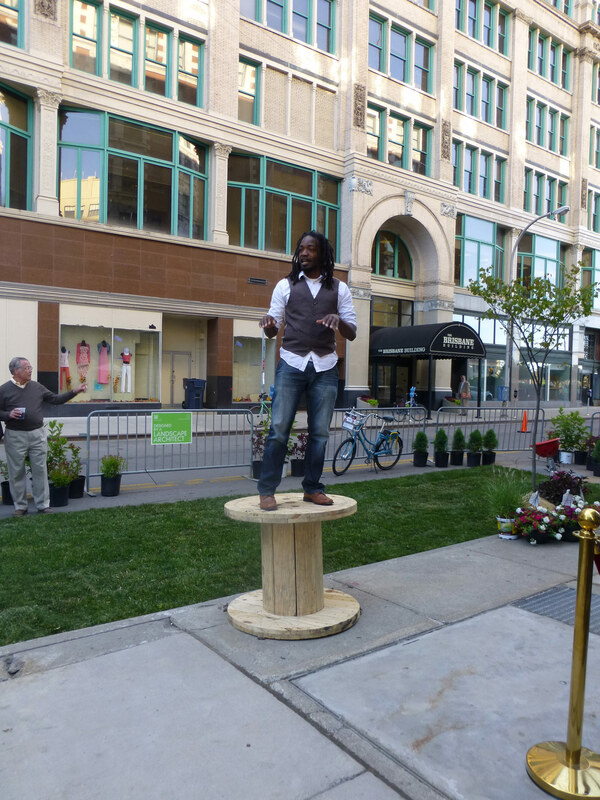 The turf lawn became a bocce court and an extension of the restaurant, while the “Main Stage” played host to a Pianos for Public Spaces display, a Celtic Trio, a Tango dance display and later a funk jazz band under the stars. The enormous blank wall of the building opposite our parklet became the screen for some incredible short films of Buffalo’s beautiful skyline. From there, the participants took the lead. 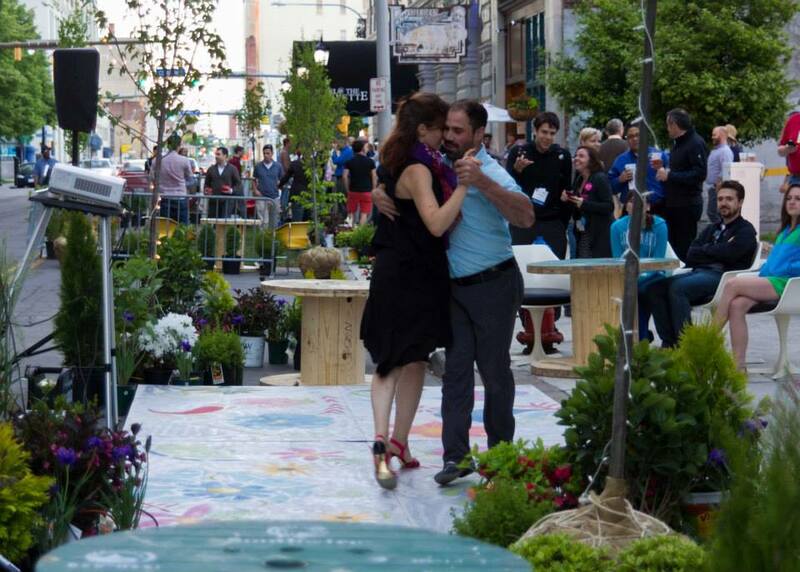 The parklet came to life through their participation, their play, their spontaneity. Awakening everyone to just how dynamic their community could be through simple ideas coming to life. Landscape Architecture is everywhere and so are we.